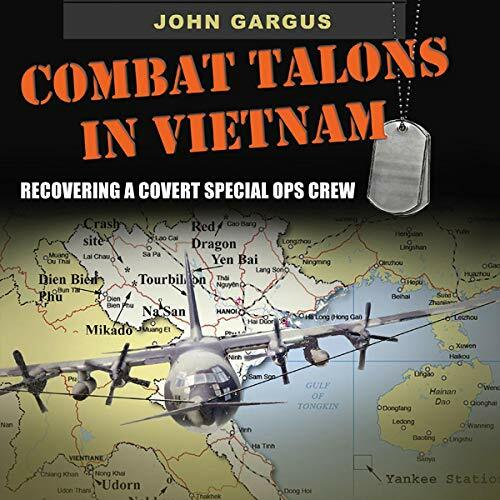 Combat Talons in Vietnam is a personal account of the first use of C-130s in the Vietnam War. It provides an insider’s view of crew training and classified missions for this technologically advanced aircraft. One night, John Gargus, a mission planner, oversaw an operation in which the aircraft - carrying 11 crew members - failed to return from a nighttime mission. For 30 years, a search for the missing aircraft remained in progress. When wartime mission records were declassified, Gargus embarked on a long journey of inquiry, research, and puzzle-solving to reconstruct the events of that mission and the fate of its crew. He discovered that the wreckage of the plane had been found in 1992 and that the remains of the crew were being held in Hawaii. Through numerous Freedom of Information Act requests, interviews, and site visits, Gargus sought to answer the question of why it took so long to find the wreckage and, more importantly, why the special operations command units were left uninformed. By 2000, the remains were relocated to a common grave at Arlington National Cemetery, at last providing a measure of closure to family, friends, and comrades. The book is published by Texas A&M University Press. The audiobook is published by University Press Audiobooks.